Bernard Antoni Adamecki was born on July 12, 1987 in Dolne Marklowice in the Cieszyn Silesia. Shortly before the start of World War II he was transferred to the General Staff of the Polish Army. During the German invasion of Poland in September 1939 he was wounded and was captured together with the whole command of “Modlin” Army by the Germans. He was released thanks to his family’s intervention. At the end of 1939/the beginning of 1940 he joined the resistance forces and started forming and underground group of air force officers. In March 1940 he was appointed as the Head of the Aviation Department in Division V of the General Command of the Association of Armed Struggle. In the years 1940–1944 he organized the reception of 483 deliveries dropped on the territory of occupied Poland. He was wounded during the Warsaw Uprising and after the fall of the Uprising he was captured. After liberation of the camp where he was imprisoned and after his return to Poland he started his service for the Polish Army. In December 1949 due to poor health he was transferred to the reserve. After retiring he was arrested on October 21, 1950 in hospital and later accused of spying and plotting against the communist government. As a result of brutal questioning he admitted to alleged crimes. On May 13, 1952 in the trial of the so-called commanding group of underground Air Forces he was sentenced by the Supreme Military Court to death, despite the fact that the prosecutor demanded long-term imprisonment. The execution was carried out on August 7, 1952 in the Mokotów prison. 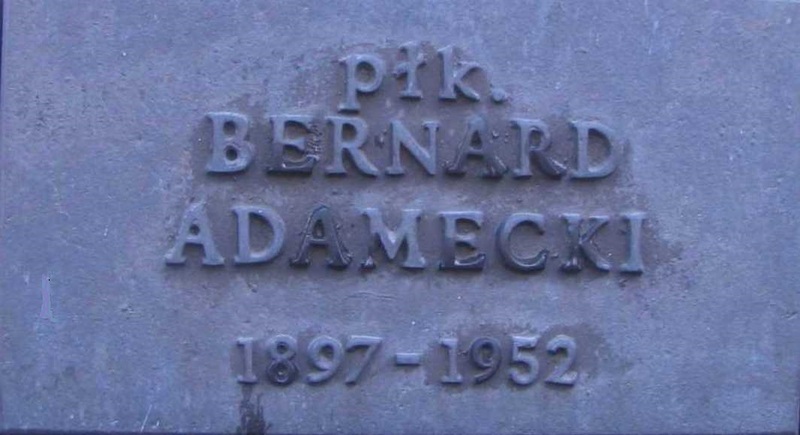 In April 1956 Bernard Adamecki was rehabilitated. A report of the “Mazur Commission” (a commission formed after the death of Bolesław Bierut in order to investigate the cases of violation of law in supreme law enforcement and judiciary bodies, by the employees of the Head Management of Information, Chief Military Prosecution and Supreme Military Court) named Bernard Adamecki as an example of a person sentenced to death without a justifiable reason. For his merits in World War II he was awarded the Golden Cross of the Military Order of Virtuti Militari, Silver Cross of the Military Order of Virtuti Militari, Cross of Valour (twice), 3rd Class Order of the Cross of Grunwald. 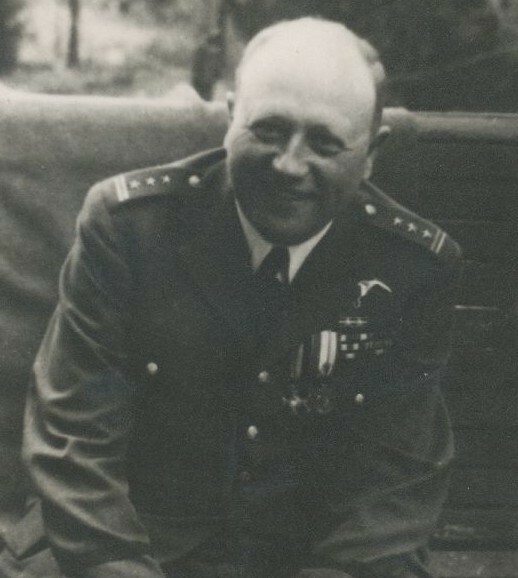 After his death he was awarded the Cross of the Home Army and Commander’s Cross with the Star of the Order of Polonia Restituta. 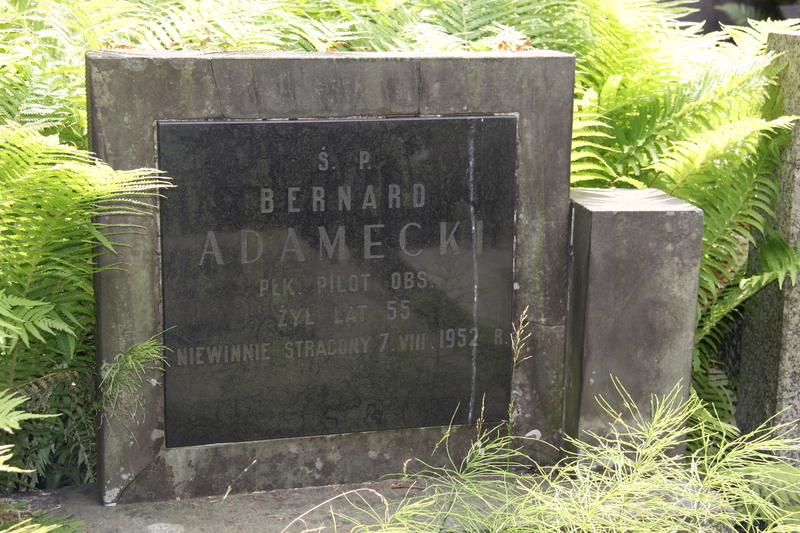 Bernard Antoni Adamecki is symbolically buried in Ł plot, “Kwatera na Łączce” is the burial ground of mostly the prisoners of Mokotów prison murdered in the years 1945–1956 by security services. The burial ground is located at the wall of the Military Cementery in Powązki. 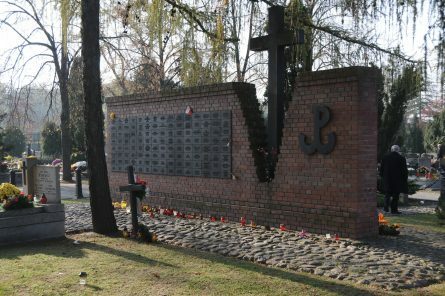 Kwatera Ł, Kwatera na Łączce is the place where mainly the prisoners of the Mokotów prison murdered in 1945–1956 by the communist security authorities. The grave is located at the wall of the Military Cemetary in Powązki.